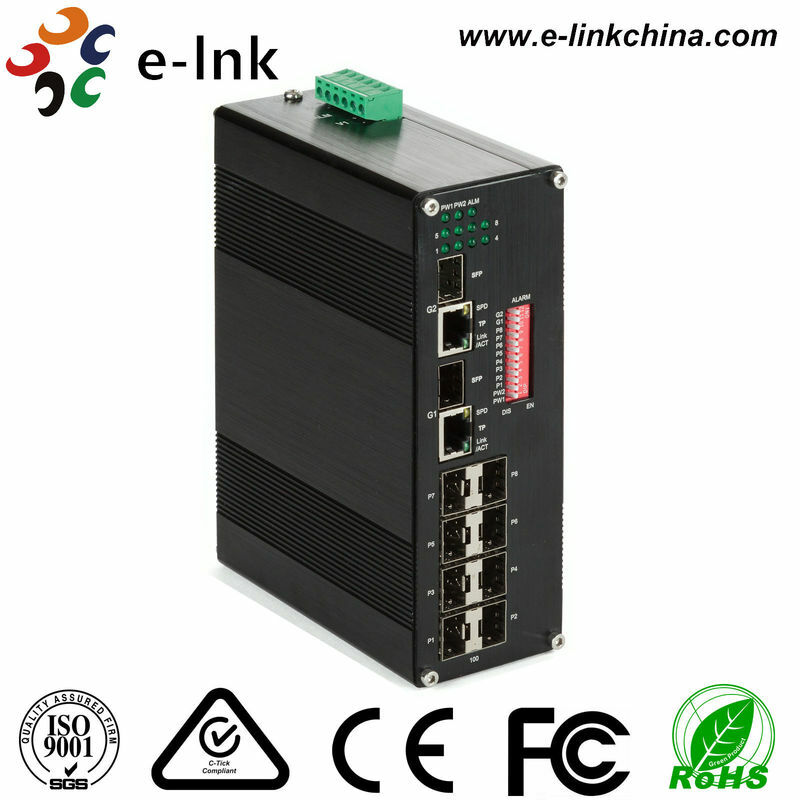 LNK-IMC800 is a unmanaged 8 ports 100Base-FX SFP + 2 ports 10/100/1000Base-T/SFP Combo Optical Ethernet Switch. 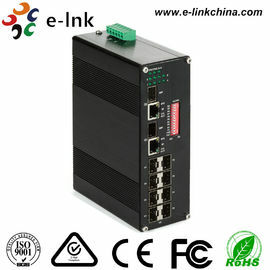 The Switch provides SFP slot to support the use of SFP (Small Form-factor Pluggable) transceiver module. User can chose different types of SFPs (1000M only). The Switch supports 1 or 2 core Single-mode or Multi-mode fiber. The product operates at temperatures ranging from -40oC to 80oC and DIN-Rail installation.